prisons | Out of the Box! 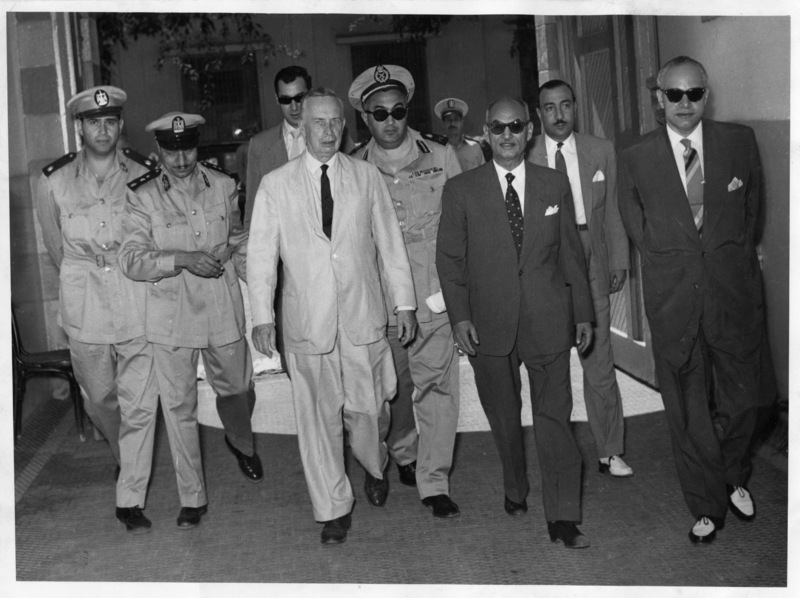 These pictures show James Bennett, second director of the Federal Bureau of Prison, visiting the United Arab Republic sometime during the late 1950s. 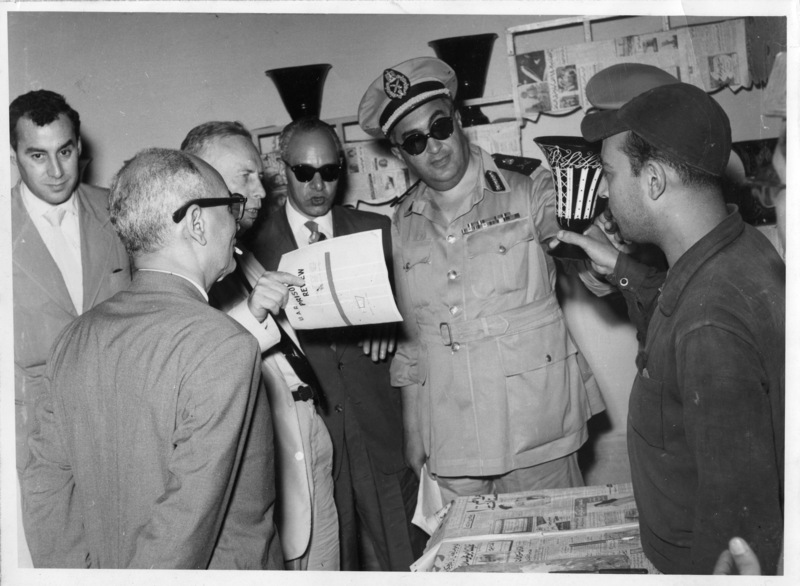 He was there to take part in a review of this short lived political union between Egypt and Syria’s prison system. Bennett made a name for himself as a penal reformer and advocate for the improvement of inhumane conditions in prisons. 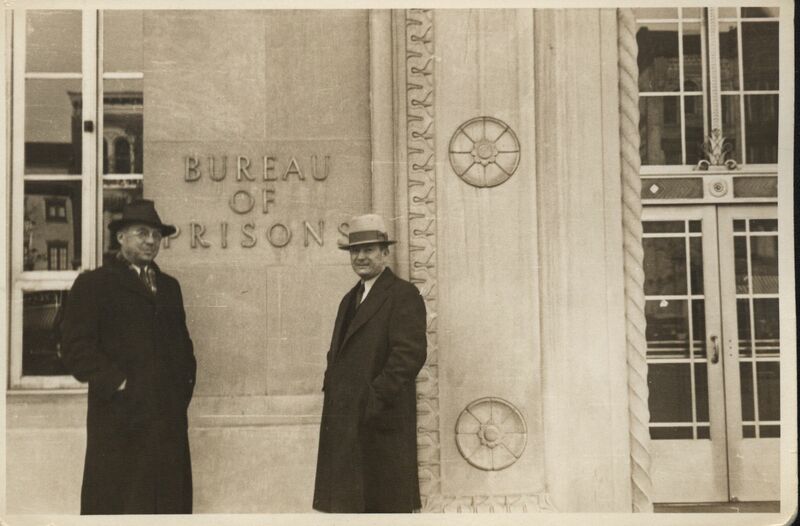 The James V. Bennett Collection contains a number of photographs and documents related to prisons and prison reviews from around the world. To see the photographs, view the James V. Bennett photographs in our Digital Collections by clicking the link below. 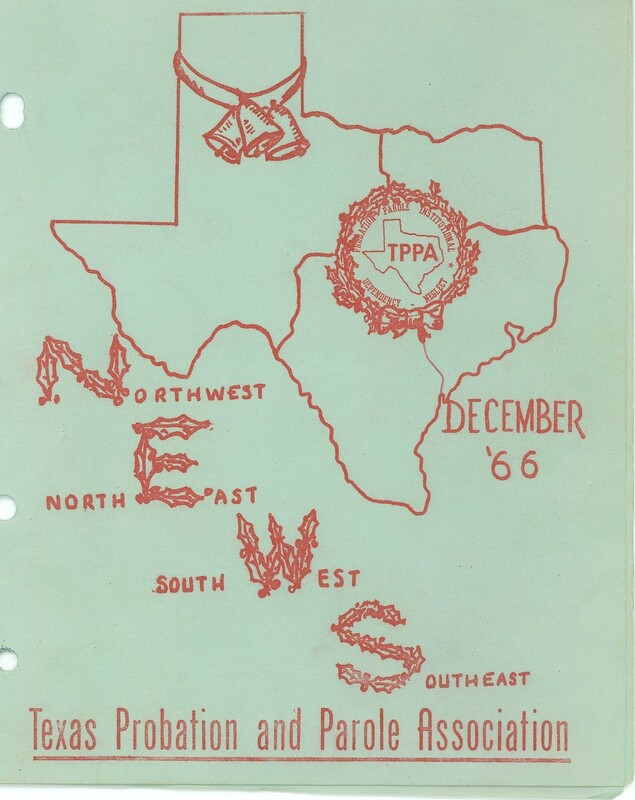 Cover of Texas Probation and Parole Association Newsletter in December 1966. The Texas Probation and Parole Association and Texas Correctional Association Collection (1939-1988; three boxes) collection consist of documents, pamphlets, programs, advertisements, and correspondence concerning the Texas Probation and Parole Association and Texas Correctional Association organizations. The collection contains minutes from the Texas Probation and Parole Association’s annual meetings, newsletters, and information on the organization’s guidelines and by-laws. 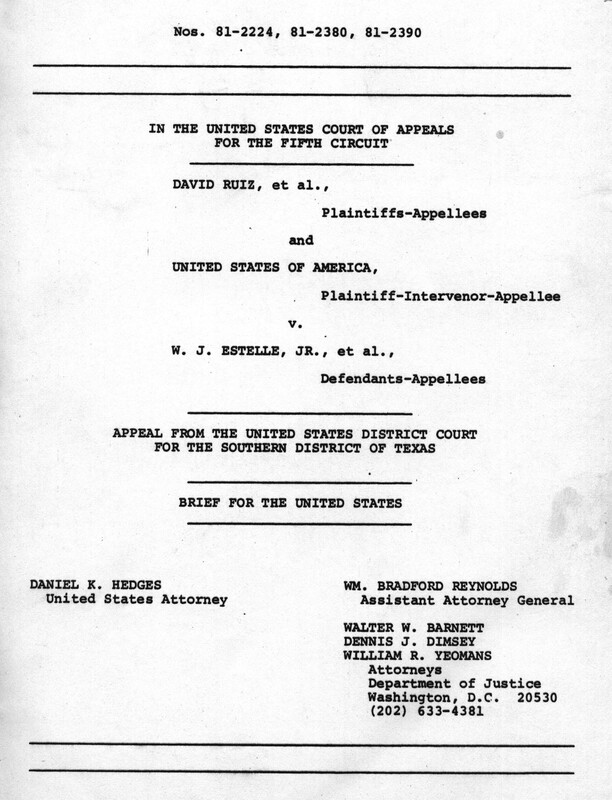 The collection contains Texas Probation and Parole Association correspondence and committee documents. In addition, the collection includes numerous pamphlets and advertisements on the Texas Probation and Parole Association and Texas Correctional Association annual conferences. The Texas Probation and Parole Association and Texas Correctional Association Collection also contains Texas State Juvenile Officers Association material, and additional documents on Texas social welfare. View a detailed finding aid of this collection at Sam Houston State University’s Archon page and see an item level listing of these materials. 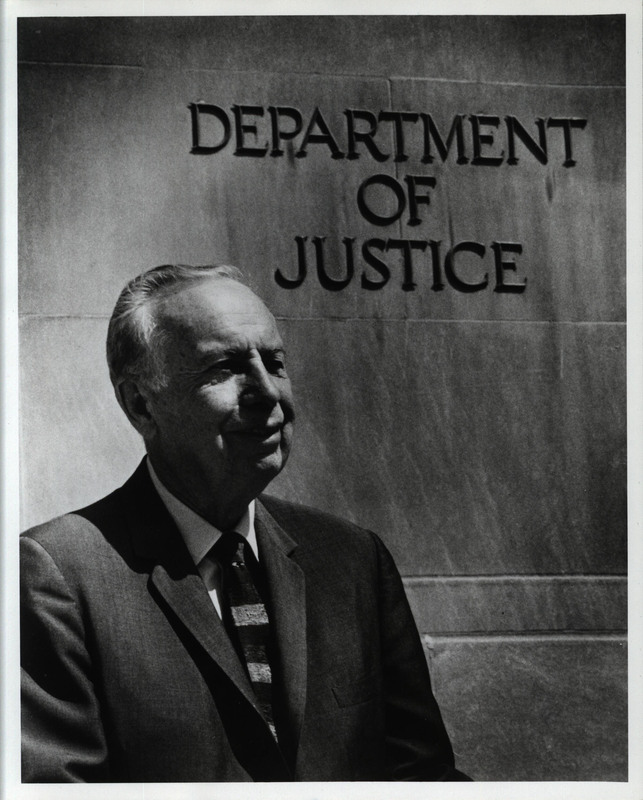 James V. Bennett played a vital role in the creation and initial operation of the Federal Bureau of Prisons. A graduate of Brown then George Washington University, Bennett began his federal government career in 1919 when he was named an Investigator for the U.S. Bureau of Efficiency. Bennett penned “The Federal Penal and Correction Problem” in 1928, which was vital as a catalyst for the creation of the Bureau of Prisons. The creation of the Federal Prison Industries Inc. in 1934 can be considered as one of his most significant achievements during his tenure. He worked as Assistant Director for the Federal Bureau of Prisons up until 1937 when he was named Director following Sanford Bates’ retirement. As Director, Bennett, was a very active reformer of correctional policies and was an advocate for the rights of prison inmates. 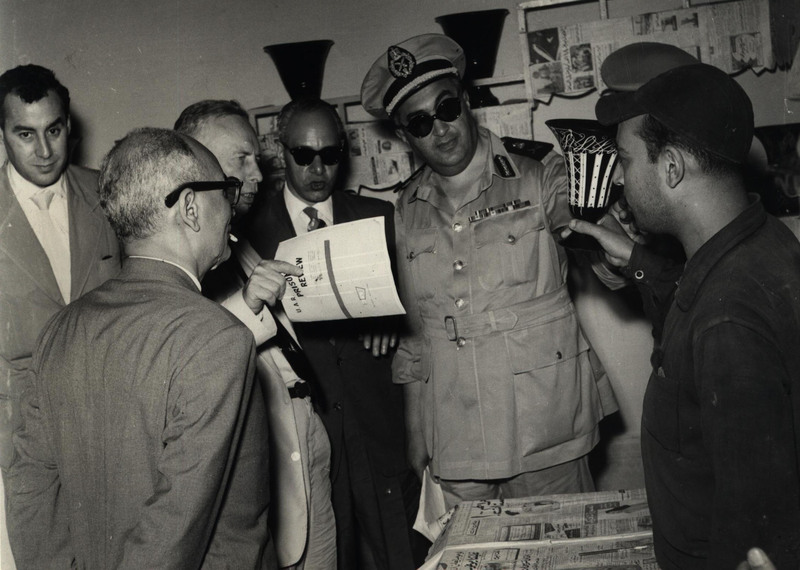 He was instrumental in opening special institutions for juveniles, rehabilitation centers and halfway houses. The materials that make up the James V. Bennett Collection, 1905-1971 represent a major part of the life and work of James V. Bennett. Significantly, they portray his role as the Director of the U.S. Bureau of Prisons and a prison reformer. This is achieved primarily through his articles, newsletters, books and as well as other materials. 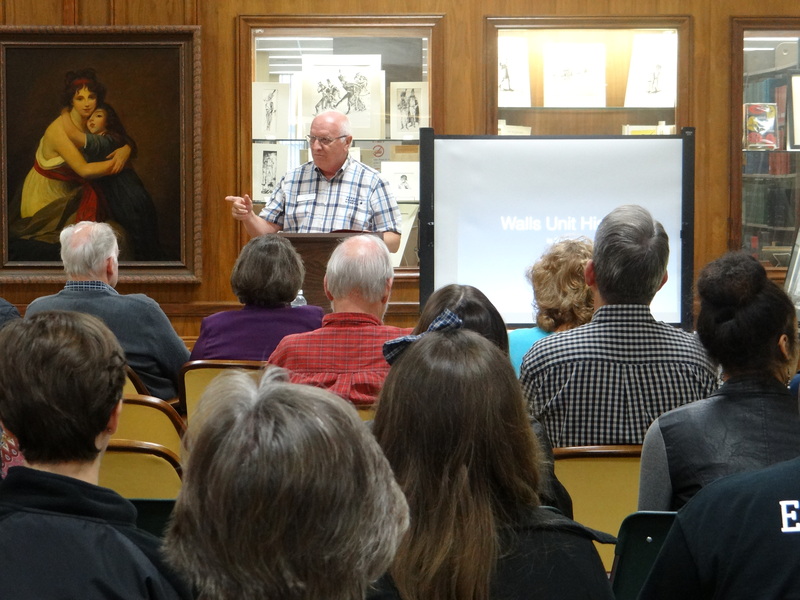 There are also many articles and speeches by Mr. Bennett. The most popular theme is prison policies and reform. This collection also contains numerous correspondence and case histories of prison inmates. Pictorial documentation of Bennett as well as many other important personnel is also represented in this collection. There are also several recordings with songs reflective of prison culture. 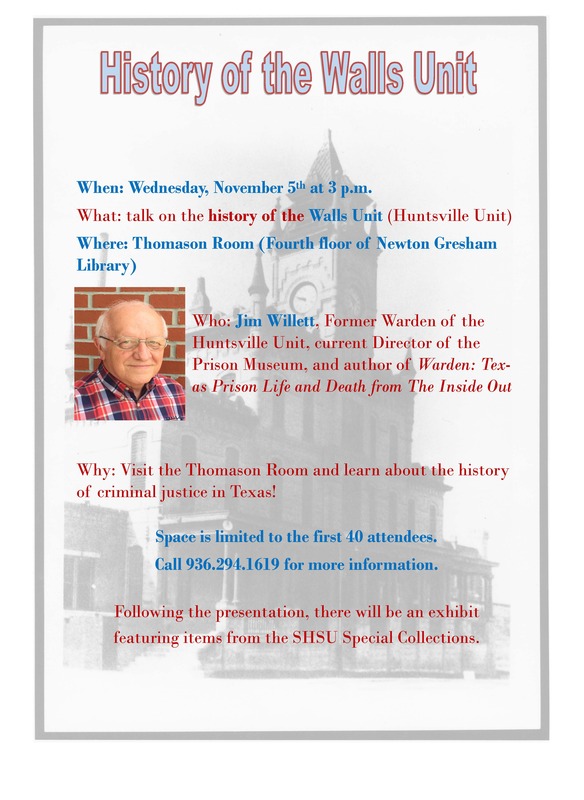 When people think of Huntsville, TX, they usually think of prisons. 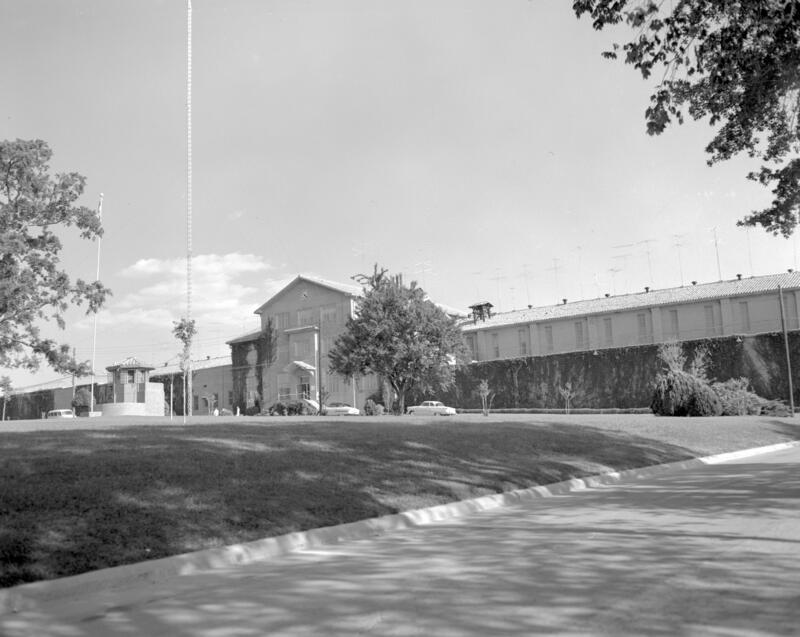 Huntsville is the home of the Texas Department of Criminal Justice and the infamous Walls Units (Texas Death Row). 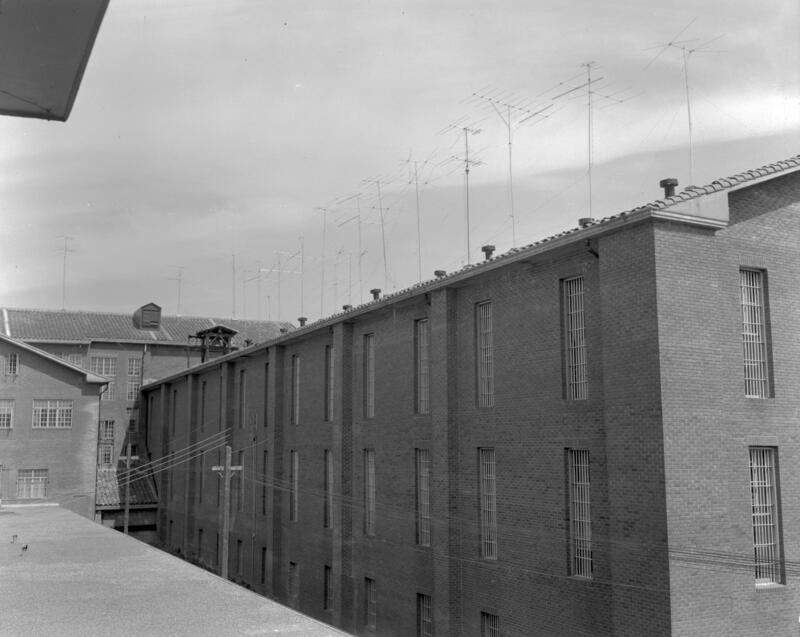 Here are some pictures of the Walls Unit taken on April 4, 1955. The first picture is of the front entrance and the second is of the west wing of the unit. What is surprising is that it still looks the same today!